to grow and sustain as an e-seller, you need to get onboard with these e-commerce partners. But first, let’s get the basics right. What Are Comparison Shopping Engines? If the name didn’t give it away already, Comparison Shopping Engines (CSEs) are, in short, retail aggregators. These are websites where you can find multiple retailers offering the product that you’re looking to buy. For shoppers, they provide much ease and convenience of comparing the quality, specification, and price of different sellers. This, then, helps them make an informed decision. Of course, beyond this basic definition of CSEs, lies plenty of features and aspects to unearth—more so for the merchants. them compare the same products of different retailers on a single interface. Shoppers, in turn, enjoy higher expediency; they don’t need to visit individual websites manually. possibly low cost and high conversion rate. 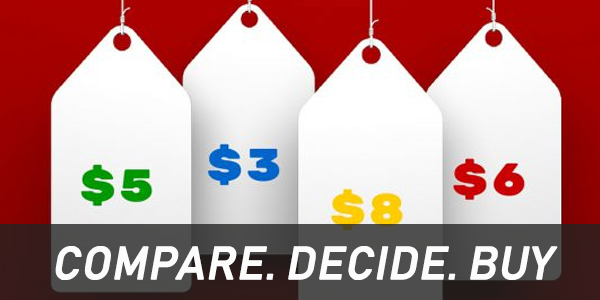 How comparison shopping engines work is quite simple. The retailers create an account here, upload their product data feeds from the dashboard, and then set bids for particular products or categories. Following, they have to work constantly to optimize their catalog through different measures so as to get their products rank higher on the result pages. Now when someone clicks on your product, they are taken to your website. Now comes the most obvious question, which is the best CSE? Yes, the search engine giant also has major e-commerce imprints. And it isn’t surprising really. Google Shopping is the largest CSE there is and likely the most popular name in the market. Backed by the power of Google, this website offers plenty of features and facilities to the sellers. visitors and millions of listed products. merchants that assure merchants high ROI. improve sales consistently using rich data. Shopping, Bing Shopping is quite an appealing option for the niche sellers. It has a very low CPC. Plus, competing with much fewer competitors, you are more likely for higher conversion here. sales potential. Of course, there are plenty more names. But these are the most used ones. evident. Listing your products on these websites can increase your exposure and reach more of your target customers. You can drive higher traffic to your product pages, which improves the chances of sales. products than, say, the traffic you generated through organic means. subsequent and free branding can bring you big sales. Yes, comparison shopping engines can easily help you improve your sales. However, this doesn’t mean you go ahead and create accounts in each of them. There are too many factors that you must consider before taking any step. generate that traffic? Which platforms promise you more leads? Your strategy must have an answer to all such questions. Another aspect that demands a large part of your attention is the cost involved here. Some of these CSEs charge upfront fees, others cut a commission on every click and sales. You need to be proficient and smart in your pricing. Also, you must have a basic idea of bidding for CPC campaigns. If the investment (money, time and energy) isn’t worth the return, you must either refine your strategy or do over with CSEs as a whole. You’re already having trouble handling your online stores. Managing comparison shopping engines can burgeon your stress and even decrease your productivity. So, this is another aspect that you must be thoughtful of when crafting your CSE roadmap. Of course, with the right multi-channel e-commerce solution like ChannelSale by your side, things would be much easier and efficient. Yet still, you’re going to have to tread the water carefully. BOTTOMLINE: if you’re an online seller, you must seriously consider getting on comparison shopping engines. They pack score of opportunities for merchants. If you manage to create and deploy the right strategy, they can seamlessly lift your sales and revenue. This entry was posted in comparison shopping engines, online sellers and tagged comparison shopping engines, e-commerce partners on July 4, 2018 by admin.